Turn your thoughts into rewards and get paid to tell iPoll about the products and services that you use each and every day. By providing your opinion through market research surveys you will get access to their great rewards catalogue. iPoll is owned by one of the Internet’s biggest market research companies, United Sample. (uSamp) Since launching the site has paid out millions of pounds to consumers from all around the world for providing answers to market research surveys. They work with large corporations and market research companies from all corners of the globe to facilitate competitive knowledge through online surveys. By providing answers to polls, questionnaires, and surveys you are helping to shape the strategies of business executives from all around the world. In turn, these executives will help to change how popular products and services are developed in the future. More reward opportunities – As well as taking online surveys via their website you can now download the app and take them on your iPhone or Smartphone whilst on the move from anyplace at anytime. You can also earn extra through their recommend a friend program, mobile missions and local polls. New social login – You can login to your account using your Twitter, Facebook, Google+ or Linkedin account. New look – The site now looks and feels much better than the old one. More ways to get paid – As well as cash via Paypal you can now alternatively choose to be paid via Airline Miles, gift cards or magazine subscriptions. 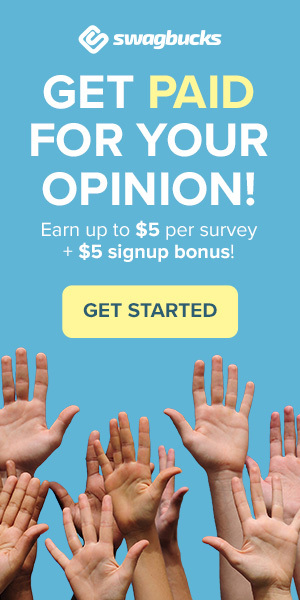 When you register for the first time on the iPoll site you will receive an instant $5 sign up bonus added to your account. After registering you must fill in the profile information to tell them a little bit about yourself. By filling in this information it will allow them to match your preferences to unique survey opportunities. The more opportunities you take part in the more rewards you can eventually earn. Out of all the various survey sites, iPoll offers one of the most diverse rewards programmes. The most popular reward is cash via Paypal but you want you can also earn gift cards for online stores including Amazon, iTunes or Visa. Other rewards include Airmiles or various magazine subscriptions. All this and much more can be found in their rewards catalogue. You can find out at any time what rewards are available to you by logging into your account and clicking on the rewards tab. As with many other paid survey sites, they know that your time is valuable so it’s unlikely you will have to spend more than 15 – 20 minutes on any given survey. It is, of course, possible that you will receive some that are longer than this, on these occasions the reward will, of course, be higher. If any problems arise whilst filling in the online questionnaires iPoll’s support department will be on hand to provide an answer to any questions that you may have. Any inquiries will be answered within 3 – 4 business days. The iPoll site is available to international panel members. More surveys are continuously being added for International members on a regular basis. Update: As of October 2017 it is unclear which countries iPoll supports. Also, they no longer seem to be sending many surveys and some members are reporting payment issues so we wouldn’t recommend registering here. More surveys sites can be found here. iPoll are definitely one of the best. Would recommend to everyone!! You will need to login to your iPoll account to find this out. I am so angry with this site , , I have spent so much time doing lots of surveys for them , my money was up to £12. ..all of a sudden they keep telling me my pass word and email is incorrect !!! The help line said they will send an email days ago and still haven’t arrived , ipoll is a massive con ,sending “surveys ” wanting to know your income , your bank , and other personal details WHAT A CON .keep away from them , nothing but misery . ! I have problem too, I tried to withdraw £25 and got massage account terminated due to violation of terms and condition,sent email for explanation but no reply, what is going on? they let you do the survey but dont want to pay you, NOT FAIR!!! THIS IS A SCAM SITE THAT HAS HAD A LOT OF HARD WORKING PEOPLE DENIED THEIR REWARDS ( THINK OF THE LUCRATVE MARKET RESEARCH MARK UP TO COMPANIES !! ) I DID A SURVEY AS NORMAL BY EMAIL INVITE . ON COMPLETION WHEN TRIED TO WITHDRAW HARD EARNED £25 VIA PAYPAL , THROWN TO TERMS & CONDITIONS & TOLD ACCOUNT TERMINATED DUE TO VIOLITION ! THis has happened to me too. I was due a payout of £25 but they automatically sent a message to say they have given me a voucher for Amazon. I neither wanted this or requested it. It then seems the voucher was used by someone else. I have sent 3 emails to I Poll Uk and have had no acknowledgement. I too have been blocked as they say I broke company policy despite having recently completed survey, and had over another £5 in my account. No explanation, no return emails. I this this is fraud and am contemplating getting legal advice. After contact via Linekdin / E – Mails , I have now received my payment .